With award season going on currently, the Oscars released the nominees for all categories online. The Marvel film Black Panther was nominated for seven Academy awards, including Best Picture- making it the first superhero movie ever to be nominated for that award. 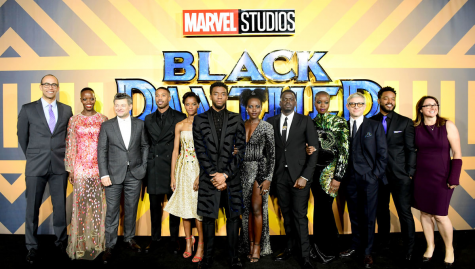 Being a film that made over $1 billion in just 26 days when it came out, Black Panther was very popular and rooted for for many different reasons. It isn’t just a regular MCU movie like the others, BP has a message and powerful background to it that struck the hearts of many people who saw it- even those who don’t like superhero films- with it’s score of 97% on Rotten Tomatoes. Black Panther already won 59 awards with 190 nominations, including the most recent awards from the Screen Actors Guild Awards, hoping for the Oscars get the film to it’s 60th win. Although many people are angry about the nominees for the Oscars, Black Panther is up against some rough nominees. These nominees next to them include Bohemian Rhapsody, Roma, A Star is Born, BlacKkKlansman, The Favourite, Green Book, and Vice. Senior Esra Eljafarawi said, “I’m not a fan of superhero movies, they’re not really my thing. But I watched Black Panther because the whole idea of it was so different from what we would ever usually see for anything like that, and it was amazing. It showed growth in that genre significantly and for the plot itself was great. 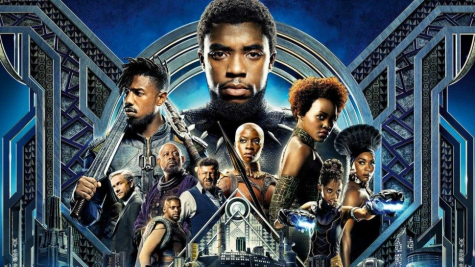 It’s the first superhero movie I’ve ever really liked.” In addition to that, with Black History Month being in February, it’s been announced that the film will be coming back to some theaters and for free, so more people can see it, even though it wouldn’t be increasing box office sales. Many fans are excited because if Black Panther were to win, it could be an incredible moment for the history of the Academy Awards. Black Panther not only showed a side never shown in Superhero movies with it’s cast and characters of a nearly all black cast with character origins from Africa, but in also being the first superhero film to ever be nominated for that award.